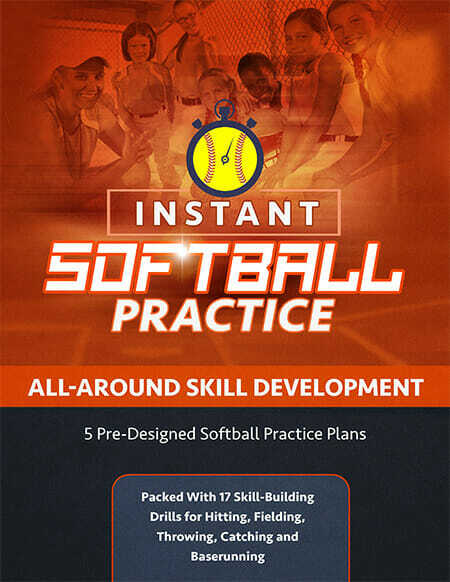 Today, we’re going to take a mental approach to girls softball hitting. Hitting is a difficult skill to master. 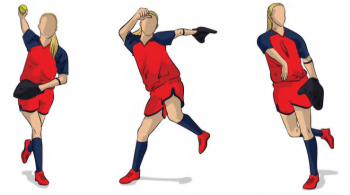 It is considered by many to be the most difficult skill in all the sport. 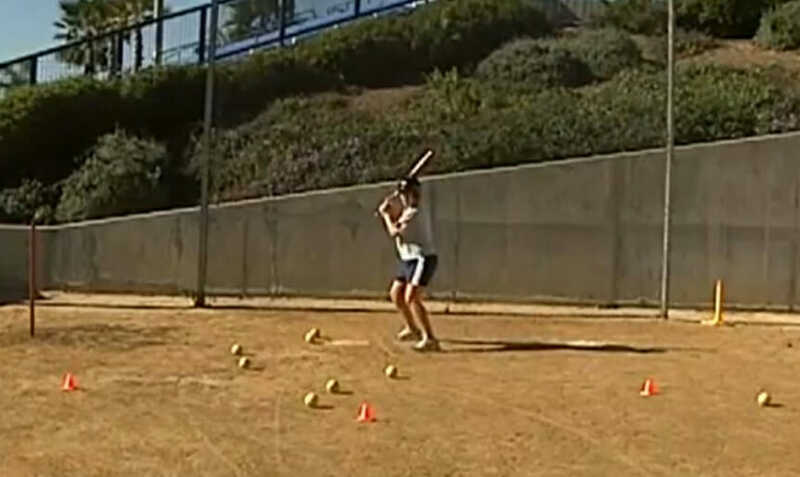 A hitter tries to make solid contact with a ball thrown at different rates of speed with movement from different arm angles with only two-fifths of a second to decide if the pitch is a strike or a ball and whether to swing or not. 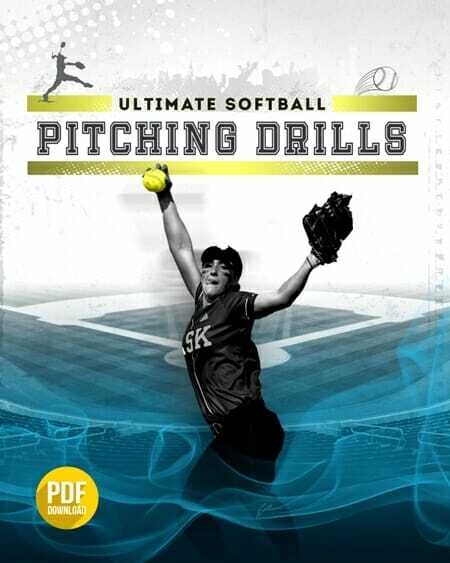 The challenge as a girls softball coach is to have players with a positive mindset in the batter’s box that thinks “Hit, hit, hit,” but holds up on her swing if the pitch is out of the strike zone or with less than two strikes, the location of the pitch is out of his high productivity zone. This approach affords a hitter an opportunity to hit the ball solidly. We’re going to talk about the prerequisites for a good mental approach, dealing with fear, and the important use of positive self-talk. A hitter must have confidence. She must have positive thoughts and believe in herself. Using present and past successes as examples can build confidence. 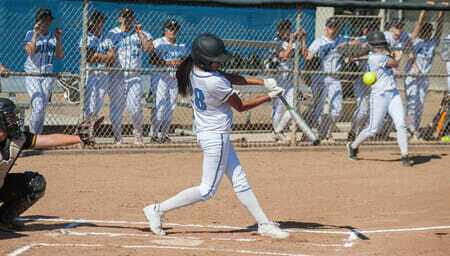 It can free the hitter of negative thinking and then give her a feeling of invincibility at the plate. When a hitter has confidence, she feels as though she can go to the plate and get a hit every time. A confident hitter is fearless, stress-free, and looks forward to those pressure situations that develop in games. Her confidence is buoyed by proper practice. Coaches placing her in fearful situations while working on successful execution and mental training in practice is extremely effective in building the hitter’s confidence. Positive coaching also develops a player’s confidence. Comments like, “Be aggressive. Think hit, hit, hit.” “You have done this successfully in the practice many times. Go get the job done.” Players respond well to positive encouragement. Confident players believe in themselves, receive positive coaching, and look forward to pressure game situations. Confidence is the most important part of the mental game. It is the emotional part of knowing you are prepared. Not all players gain confidence easily. They have obstacles in their way like fear of the unknown or fear of a particular game situation or pitcher. The most common fear though is fear of failure. This plagues many players because girls softball is a game of failure. Successful hitters make outs 60-70% of the time. Fear of failure is real, but it does not give the hitter correct information. Skip Bertman, famous collegiate coach, used the acronym False Evidence Appearing Real when he addressed fear with his teams. He explains that fear tells lies and distorts what is real and what is imagined. This distortion causes the hitter’s body to react in a counterproductive way. Fear of failure initiates a rapid heartbeat, an irregular breathing pattern, or perspiration. It tightens the body and clutters a hitter’s mind. The hitter needs to look at the fear and identify where it is originating. Then defeat it by replacing the false information with real, positive thoughts and self-talk that can lead to success. The first step in dealing with fear is to acknowledge it and derive its source. Fear originates from many aspects of the game. From striking out, to getting hit by a pitch, to an off-field relationship. It is present and real. A hitter must consider the worst-case scenario that can happen because of this fear. Realizing that that scenario is fixable and not catastrophic, the hitter decides on preventive measures and takes action. 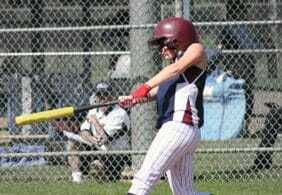 Acknowledgement, understanding the source, examining the worst possibilities, and taking action effectively allows the hitter to master her fears. Excellent hitting instructors feel that helping hitters to identify their fears and assisting in relieving them is one of their greatest accomplishments. It is a quality that sets them apart. Coaches, you are capable of doing the same thing for your players. Fear and nervousness have a distinct energy. Coach Bertman describes a nervous energy, butterflies, or adrenalin rush before the big game as your body trying to take your performance to a higher level. Understanding that the very best athletes in the world also deal with this type of energy and that they manage to perform at their best is important information for all athletes. Edwin Moses, the gold medal-winning Olympic hurdler, said he felt as though he was being led to his execution before an important race. Dennis Eckersley was known to have an upset stomach and nausea before closing a game from the bullpen for the Oakland Athletics. He turned the energy of fear into positive situations throughout his career, and managed to win a Cy Young Award and be named MVP of the American League. The realization that fear and nervousness can lead to success is critical to successful athletic performance. Great athletes turn fear into anger and attack it. They use the energy from fear to defeat their opponents, allowing them to play at a higher level. Positive self-talk is a few positive words or a phrase that moves a player out of a fearful or negative frame of mind into a more conscious “I can do this” state. Regardless of the magnitude of the situation, all-time hit leader Pete Rose used a simple self-talk phrase to tell his mind it was now time to hit. Pete would say, “See the ball. Hit the ball” as he set himself in the batter’s box. Those words kept his mind in the present and did not allow for negative or fearful thoughts. Self-talk is unique to the hitter. It needs to be a statement that frees herself of all outside influences and brings on thoughts related only to hitting. It can be used at any time before or during an at-bat, but is particularly effective in between pitches as the hitter gets into the batter’s box. Do you think your girls softball team will get something out of this mental approach to hitting? Why or why not? Sound off in the comments section below! 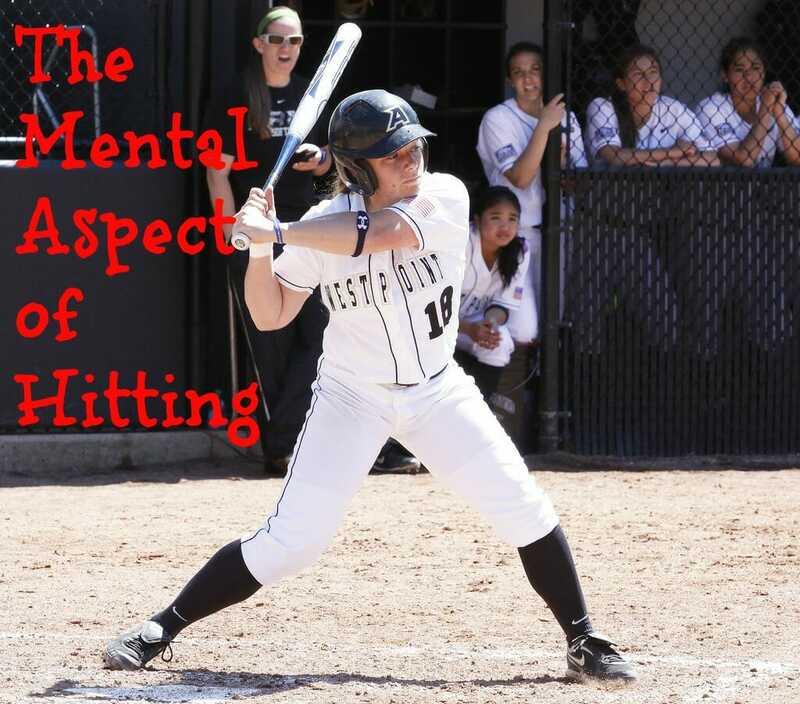 1 Response to "Becoming a Better Hitter – It’s All in the Attitude"
I think this is great!! I teach this to my girls already, but will definitely add this read to our homework assignments? My girls are only 8u but they have improved beyond other 8 year olds mentally and because of that, physically! They get hw assignments and play/ practice 3-4 times a week. Many coaches / parents don’t believe in teaching the girls this stuff this early but if their goal is to be a collegiate athlete, they need to learn it first !!! Thanks for sharing!